Tonight, the City Council of Phoenix, AZ convened to consider proposed measures aimed specifically at blocking The Satanic Temple from delivering any invocations in the “open forum” of their Council Chambers. 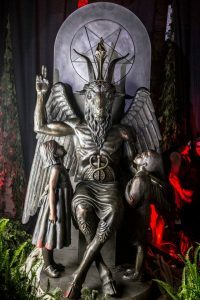 Media reporting was often scattered and unclear regarding how, exactly, the Council intended to block the Satanic invocation but indications were that certain Council members advocated for a rotating roster of Council-approved clergy. Clearly, the idea presented a fundamental misunderstanding of First Amendment freedoms and the government’s inability to act as arbiter of “legitimate” religious expression.